Lightweight, elegant, and performant, at least according to Huawei's marketing. The latter is debatable. Is it acceptable to refer to a notebook that loses up to 37 % of its initial performance after a few minutes of high load already as performant? 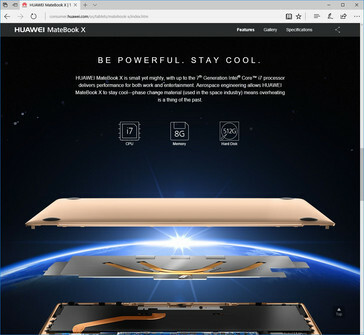 We are faced with this conundrum once again with the latest Huawei MateBook X with its innovative MEPCM cooling system. A short excerpt from our extensive review focusing on persistent load. Modern notebooks are becoming increasingly thinner, lighter, cooler, and quieter. Let’s face it: nobody wants to carry around a hothead, but we also don’t want to pass up on high performance either. 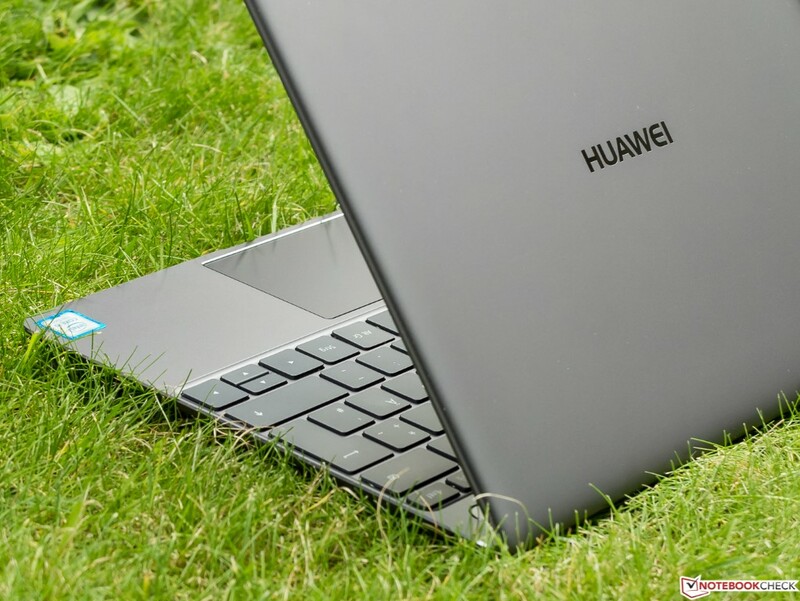 Effectively, this means that instead of utilizing the more power efficient Core M microprocessors made specifically for thin and lightweight subnotebooks manufacturers have started implementing the more powerful full-fledged Core i processors into their latest subnotebooks instead. Sometimes even combined with a passive cooling solution. Intel is at least partly to blame for this trend, since with the latest Kaby Lake generation they have once again changed their naming conventions for the Core M line of processors, and have started referring to some models as Core i instead. Accordingly, the media and users have started associating Core M processors with low performance. Still, we find it highly questionable to put in a Core i5-7200U processor into a 12.5 mm thin case and resort to passive cooling. 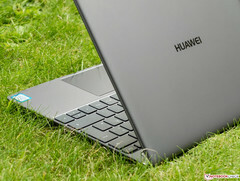 Latest example: the Huawei MateBook X, whose extensive review went online today. In case you need high performance only for a very short period of time you’re fine. Yet after only a few minutes, the innovative cooling solution conks out and the CPU starts to throttle massively. As a result, our Cinebench R15 multi-thread loop ran up to 37 % slower, and dropped from a very respectable 320 points to no more than 216 after six iterations. In the long run, the MateBook X settled at around 205 points – a 37 % drop. Unfortunately, Huawei is not the first. In our recent review of Microsoft’s latest Surface Pro, we’ve noticed the exact same behavior: the device was incapable of utilizing its microprocessor’s full potential because it would quickly raise temperatures and shorten battery life significantly. In the similarly equipped Surface Pro with i5-7300U processor we were able to attest an initial Cinebench R15 score of 330 points, which quickly dropped down by more than 30 % and settled at around 225 points after a while. The MateBook X, the Surface Pro (i5) and Surface Pro (i7) are fascinating and impressive devices, no doubt. Light, portable, thin, and in case of the Surface Pro usable as tablet to boot. Short term performance boosts are no trouble to these; however, we highly contest the notion that these devices are “powerful” or offer “high performance”. 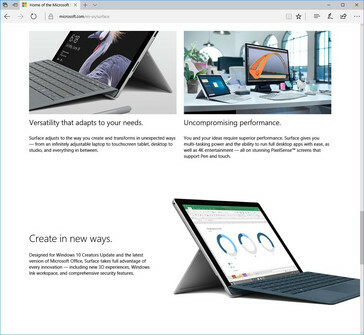 Marketing speak can be misleading, and by hinting at performance levels similar to actual high-performance laptops highly deceiving as well. Given that these devices lose up to a third of their peak performance after a very short period of load already, they most certainly do not live up to these claims. Those of our readers, who are looking for long-lasting performance – e.g. for rendering or gaming purposes - will have to look elsewhere. "...overheating is a thing of the past." - achieved by not delivering full power over a longer period of time. "Uncompromising performance." - correct, but only for a couple of minutes.